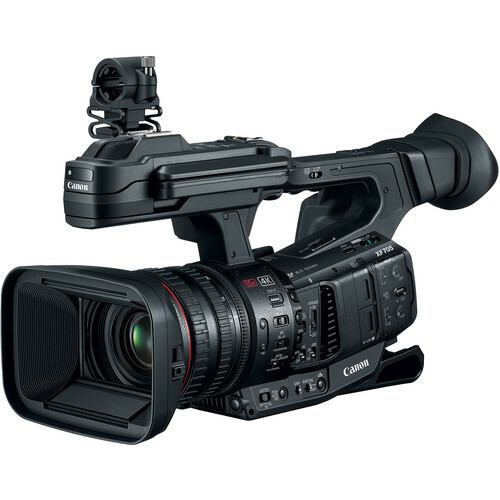 Canon's XF705 4K 1" Sensor XF-HEVC H.265 Pro Camcorder uses the highly efficient H.265 codec, offering up to UHD 4K60 4:2:2 10-bit capture in a compact, ergonomic form. Its 1" CMOS sensor and dual DIGIC DV 6 processors provide high sensitivity and low noise for natural-looking images. Camera features include 1080p rates up to 120 fps, 12G-SDI and HDMI 2.0 outputs, internal ND filters, and dual XLR audio inputs.